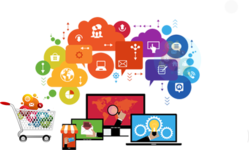 We Provide Web Portal, eCommerce and Content Management System, Design, Develop, and Support in all technologies. Cynics Corporation is able to provide you with the best solution resource in Entertainment Portal Development Service also help in Smart and Strategic UI UX Entertainment is one most important need in this modern era. Portal development is a multi-dimensional activity that involves proficiency at many levels whether it is architecture design, GUI design, DB planning, coding or middle tier integration. A portal well executed, create a brand for its owner and becomes known gateway for the users across World Wide Web. Unimans is specialized in bespoke portal development that enhance your business. Whatever your requirement is, we will give you best solutions and covert your dream into realty. We have highly experienced team of website designers and web developers who will give you excellent solutions as per your requirement. Our technical expertise along with competent knowledge of the domain enables us in the development of high quality & attractive Entertainment Portals. While designing & developing the portal, we integrate various features like Downloadable video/audio clips, video/audio streaming, admin panels, online store options and Integration of the payment gateway, to name a few.